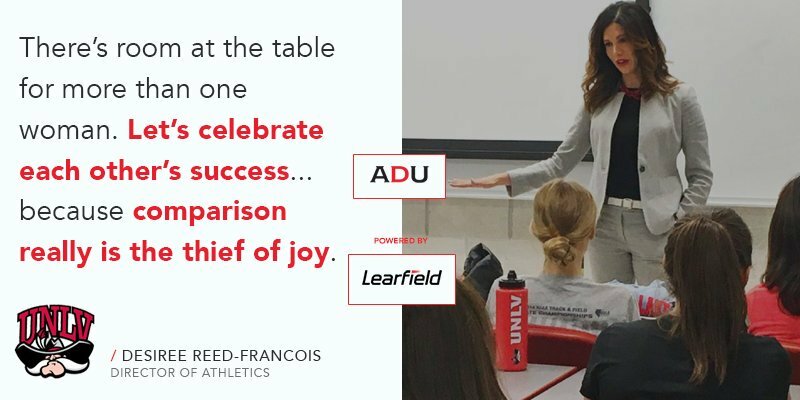 November 24, 2018 – In response to a series on UNLV Athletics in the Las Vegas Review-Journal, UNLV athletic director and CSA placement Desiree Reed-Francois shares her story of the successes already experienced within the department and the steps ahead for UNLV’s turnaround. Now in her second year in the chair, Desiree has been featured frequently in various news outlets for her achievements and turnaround efforts at UNLV. See the articles and video’s linked below to learn more about Desiree.